Take advantage of the above freezing temperature in April to prune your apple trees. Pruning is an important cultural operation in fruit tree production as it enhances the quality of your apple fruit. In fruit trees, pruning opens up the canopy allowing better air movement, light penetration, and in turn reducing the pest and disease occurrence. You can also reduce the height of the fruit tree which enhances better spray coverage and helps in easy picking of the fruit. Prune trees when the air temperature is above freezing; however don’t prune during wet or snowy weather. Dormant pruning is best done before bud break. Remove any dead, diseased, or broken branches to its point of attachment. Thin out most of the water sprouts that compete with the trunk and other main branches for light. Water sprouts are vigorous shoots that are formed on the scaffold branches (main branches) and also commonly seen at the cut ends from last year’s pruning. You may leave a few water sprouts on the outer branches or to fill in any open spots in the canopy area. Prune off all the suckers that grow from the base of the tree. Branches that are crisscrossing over other branches or growing parallel to each other can be removed. Perform a heading cut or if necessary thin out any long growing branches or limbs that shade out the lower branches. In apple trees, the lower branches need to be wider than the upper branches for better distribution of sunlight to all the branches. When pruning large branches, make a smooth and close cut to the branch collar region. Don’t leave a stub. Disinfect the pruning tool with 70% rubbing alcohol or Lysol solution after you are finished pruning each fruit tree. Training young apple tree is equally as important as pruning for better fruit production. In training, the branches are positioned equally apart in a better angle for maximum fruit production and to develop good structural framework of the tree. Depending on the size of the branches and the tree maturity, various limb positioning techniques can be adapted. The limbs are positioned to form a 60 degree crotch angle from the leader. Please refer to the UW Extension publication A-1959 on “Training and Pruning Apple Trees” for more detailed information on those limb positioning techniques. It is much easier to train young apple trees than a mature old tree. The best time to train young branches is during early summer (June) whereas mature branches can be positioned during dormant pruning or in early summer. I began my gardening adventures planting perennials and herbs when we purchased our first home in the Twin Cities back in the early 1980s. By the time we moved to Green Bay a decade later, I was ready to tackle designing and planting the landscape surrounding our newly constructed home. Eventual moves to warmer climes allowed me to enjoy experimenting with hybrid tea roses in the Bay Area in Northern California and azaleas, magnolias, and crape myrtles in Memphis. By the time we returned to Northeast Wisconsin 7 years ago, the USDA had changed the hardiness zone from 4b to 5a, opening up new plant possibilities for consideration. 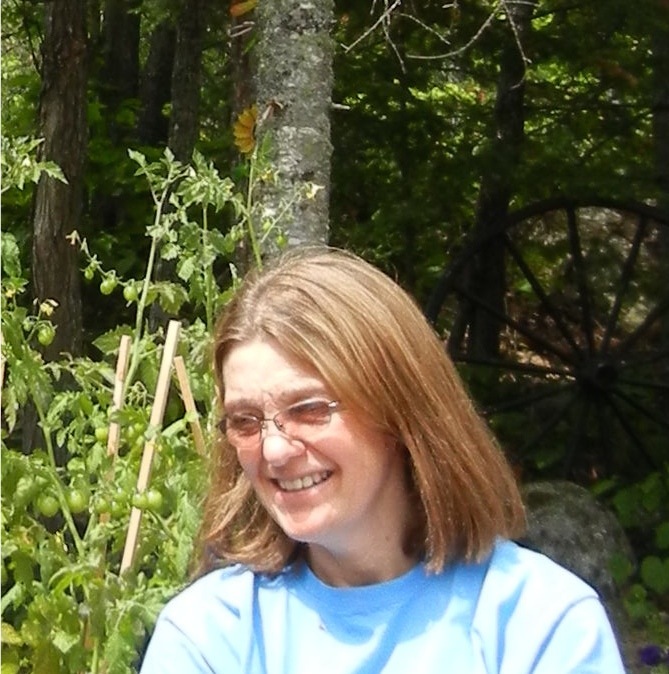 With the days of erratic schedules carpooling our boys to hockey and soccer games behind us, I was finally able to begin coursework to become a Master Gardener volunteer in 2010. My gardening knowledge and interests continue to grow as a member of the Outagamie County Master Gardeners, Wild Ones Fox Valley Area, North East Wisconsin Herb Society of America, and Friends of High Cliff State Park. I love to cruise around on the internet and read articles that we would have never had access to years ago when everything was in print. I mean, really, how many magazines could you subscribe to?! The title of this article grabbed my attention immediately; it’s from a 2009 article written by Teresa A. Golembiewski for Wisconsin Natural Resources magazine (under the Department of Natural Resources umbrella). I had no idea that there are four carnivorous plants that survive in Wisconsin, and how fun to realize that there are so many of them in the world! Note that I didn’t title this post “Fun Gardening Books”, because the books I’m reading really have nothing to do with gardening. “Wicked Plants – A Book of Botanical Atrocities” is a fascinating read. Who hasn’t read an old mystery thriller where someone was slipped some deadly nightshade, or wondered about the ingredients used in the potions in Professor Snape’s classroom in the Harry Potter books? 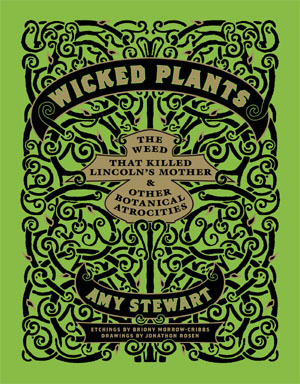 Author Amy Stewart draws on history, medicine, science, and legend to create the most delightful little snippets about plants, shrubs, trees, roots, and other myriad specimens from the plant world. The First Sacred War (595-585 BC) is believed by some historians to have been won after a Greek military alliance poisoned the water supply of the city of Kirrha with HELLEBORE (Helleborus spp.). 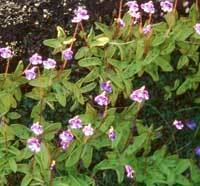 The KGB used ricin, the poison in CASTOR BEAN (Ricinus communis), to murder communist defectors. When you need a break from weeding or planting or fertilizing, grab a cold beverage and this fun book in your favorite patch of shade this summer. I’m next going to tackle Amy Stewart’s “The Drunken Botanist – The Plants That Create the World’s Best Drinks”. Are you aware that Wisconsin Public Television has a huge library of videos from the popular show “The Wisconsin Gardener”? “The Wisconsin Gardener”, running on public television beginning in 1992, was hosted by Shelley Ryan until 2013. One of the most popular niche television shows on public television, fans were deeply grieved when Shelley Ryan died of cancer. Videos of past programs are still relevant, and grouped into categories: Animals & Plants, Arts & Crafts, Containers, Cooking Recipes, Edible Landscape, Four Seasons, Garden Basics, Garden Design, Health & Wellness, Insects & Disease, Public Gardens, and Weeds & Invasives. The videos average 2 to 10 minutes, and each one has a printed transcript that you can access in case the video isn’t clear enough or loud enough for you, or in case you want the information to make your own fence, or plant your own container, or whatever the episode is about. Great way to get thoroughly researched university-based horticulture information, plus some fun ideas and glimpses of public gardens. Access the videos at: http://wpt.org/Wisconsin-Gardener/ where you can also find past radio broadcasts from Larry Meiller’s “Garden Talk” heard each Friday at 11 a.m. on Wisconsin Public Radio. Note to OCMGA members: both “The Wisconsin Gardener” and “Garden Talk” are approved sources for Continuing Education credit. Earth Day challenges us to consider various ways we might contribute mitigate our impact on the planet and its resources. Each year, Wisconsin households still send 600 million pounds of “food waste” and compostable material to our landfills. Composting table scraps and yard waste can reduce the use of water and synthetic fertilizers. 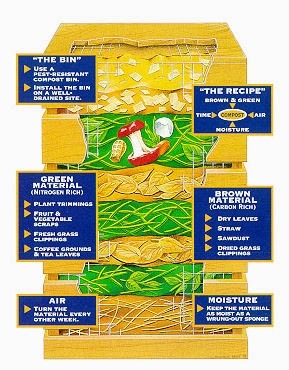 The microbial decomposition of biodegradable materials that have been piled, mixed and moistened will result in a humus-rich organic soil amendment containing nutrients that will foster plant growth. Compost moderates soil temperature, improves soil drainage, fertility, and structure, and can suppress weeds. I was in Alaska a couple of summers ago and, at one of our cruise ports, there was a little shop that sold travel adventures. 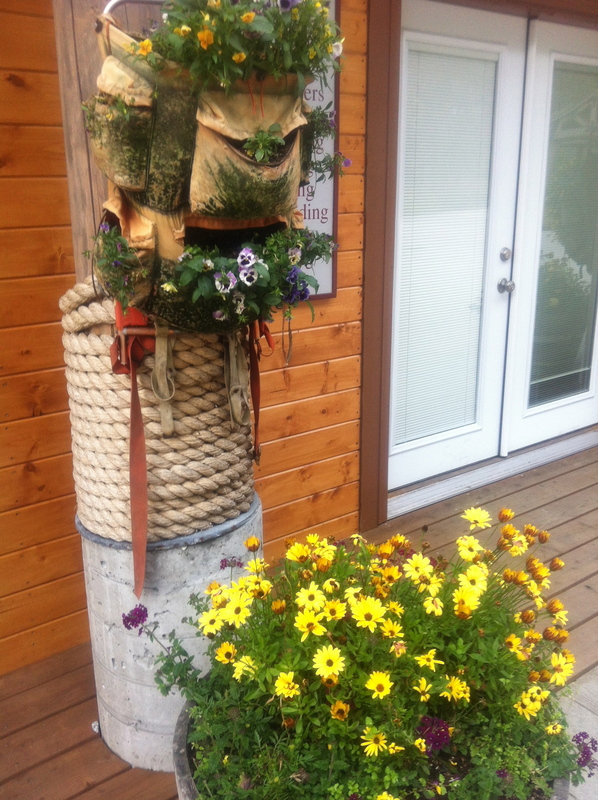 Outside the building were old canvas backpacks (rucksacks) that were being used as planters. Totally cute! What made me think of it today was something I saw while I was out shopping. 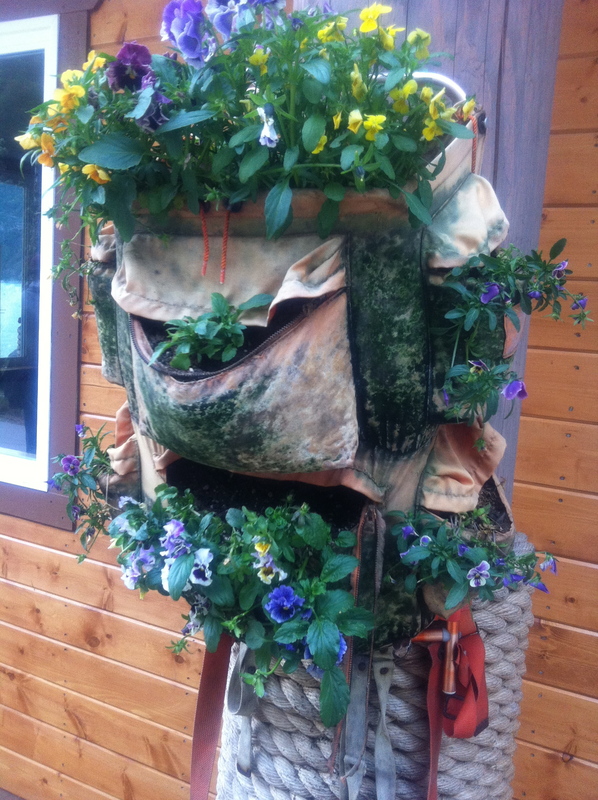 It was a “hanging herb kit” — basically a multi-pocket hanger made of heavy twill in which you’d put soil and herbs. Then you hang it against a tree or building or whatever. Finding an old multi-pocket backpack or travel bag at one of the thrift stores would accomplish the same thing that I saw in Alaska. These were planted with flowers, but herbs or even small vegetables could be planted in the pockets.